If elections were decided by football fans, then supporters of the Tampa Bay Buccaneers would be targeted heavily by Republicans and could be one of just a few team bases to elect someone other than a Democrat. According to a survey distributed by FiveThirtyEight, a data-focused site headed by Nate Silver specializing in content on politics, economics and sports, the fan base of the Tampa Bay Buccaneers reported political affiliations that would give a 9.5 percentage point Republican lean over Democrats — a gap larger than that of any other National Football League team’s fan base favoring Republicans. That said, just six of the 32 teams in the League had fan bases favoring Republicans, and the results of the poll showed the average base for any given team gives Democrats a 6 point lean. There were 105 respondents who answered as Tampa Bay Buccaneers fans. Meanwhile, the Jacksonville Jaguars base came in with a 2.4 percent Republican lean and the Miami Dolphins fan base leans 7.7 percent more Democratic. The fan base of the San Francisco 49ers had the highest (22 percent) Democratic lean. Conducted during September of last year, complementary research found that the NFL, when compared to other major sports, had the least ‘partisan’ fan base, but had the most ‘fandom searches,’ or queries online about terms related to the sport. Democratic areas held more interest in the NBA, MLB and NHL; search volumes dipped slightly in areas that were more Republican (where President Donald Trump grabbed more votes in 2016). Vice versa for college basketball, NASCAR and college football. But there is no such relationship for fans of the NFL. In essence, the lack of a correlation between how Democratic or Republican an area is and its interest in the NFL suggests that the sport transcends party lines. To writers at FiveThirtyEight, that explains the delicacy with which the NFL must handle its political issues. Politics have undoubtedly been problematic in the League’s recent seasons, the primary concern is whether players should be required to stand for the national anthem. 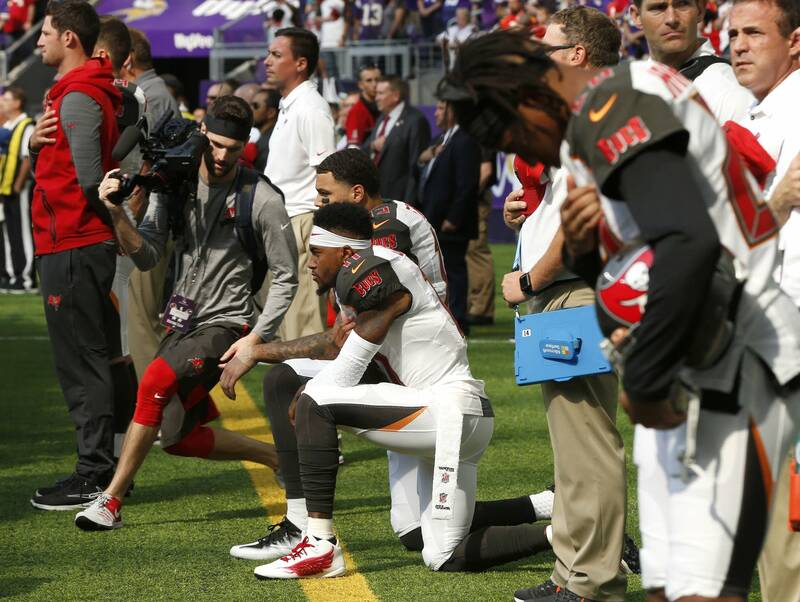 Players kneel in protest of social injustices, but some interpret such protests as disrespecting the country and its military. “The NFL’s fan base is much more bipartisan than those of other major sports leagues, and it risks angering one side or the other if it mishandles the situation,” wrote Neil Paine, Harry Enten and Andrea Jones-Rooy of FiveThirtyEight. The League recently adopted anthem-related rules allowing it to fine teams who kneel on the sideline during the anthem’s playing. However, the rules give teams the option to let players remain in the locker room during the anthem’s playing without punishment from the League, though it appears such policy will have to be approved on a team-by-team basis.